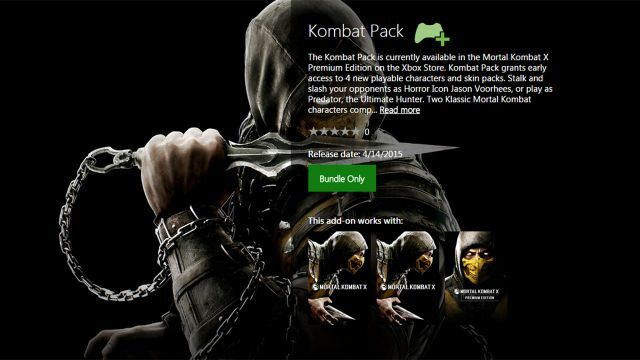 Last week, Warner Bros. Interactive Entertainment and NetherRealm Studios confirmed details for the Mortal Kombat X Kombat Pack, a DLC pack including 4 playable characters including two classic Mortal Kombat characters, the horror icon Jason Voorhees of the “Friday the 13th” films and “another special guest character.” Now, the Xbox Store (via IGN) appears to have spilled the beans listing none other than the ultimate hunter himself, the Predator, as the fourth character. 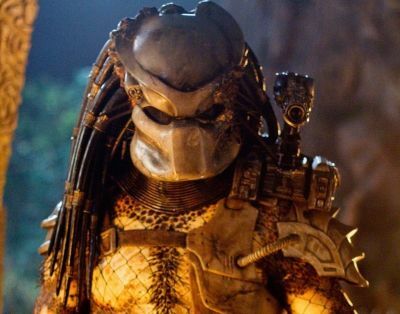 The title character in five movies, the Predator has appeared in a number of video games previously, but this marks his first appearance in another franchise. Another film featuring the intergalactic hunter is currently in development with Iron Man 3‘s Shane Black directing from a screenplay by Fred Dekker. Dekker and Black wrote the story. Mortal Kombat X is NetherRealm Studios’ next highly-anticipated installment in its legendary, critically-acclaimed fighting game franchise that propels the iconic franchise into a new generation. The game combines cinematic presentation with all new gameplay to deliver the most brutal Kombat experience ever, offering a new fully-connected experience that launches players into a persistent online contest where every fight matters in a global battle for supremacy. Mortal Kombat X will be available for the PlayStation 4, Xbox One and PC on April 14, and for the PlayStation 3 and Xbox 360 this summer.